Unfortunately, life doesn’t always go as planned. It is therefore, important for individuals to prepare for the worse and cover all of their bases as best they can. One of the best ways to do so is via a will. 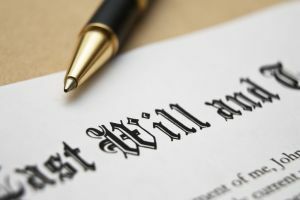 A will is a powerful final testament tool which provides instruction regarding a person’s last wishes, including how they want their estate divided and distributed. Women who become pregnant hardly ever give any thought to having a will drawn up. This is not only unfortunate, it’s a huge mistake. Every day, women die during child birth, leaving behind devastated loved ones and no instruction regarding how they want their assets divided. What ensues is a dragged out, legal process (and sometimes battle) that could have been avoided by drafting a simple will. When a person dies without a will, their loved ones have to navigate the legal process on their own, hoping to gain control over those things left behind. Often times, after the process has been completed, the deceased’s love ones receive significantly less than they would have, if a will had been created. These days, there really is no excuse to not have a will. It’s no longer necessary to hire an expensive lawyer to draw one up, though it is recommended when a person has a lot of assets. A person may also want to pay a lawyer to review a will they’ve created on their own. If an individual wants to, they can create a will themselves using kits and forms available online. An investment of an hour or two that it takes to create a will can pay off in a big way for those left behind. A will is one of the very best ways for a person to make sure that their assets are distributed in a matter in which they would be satisfied with. It can also be used to provide instruction concerning various matters upon one’s death. A will is often a part of an estate plan. In this regard, it will ensure that the right people receive those items or assets the deceased intended them to have. A will can help to alleviate tension and prevent fights caused by greed or jockeying for these assets left behind. By creating a will, a pregnant mom will also ensure that her new baby is taken care of. She can provide instructions about the care of her newborn son or daughter and will certain assets to them. In this way, it is one of the most loving and caring thing a mom can do.